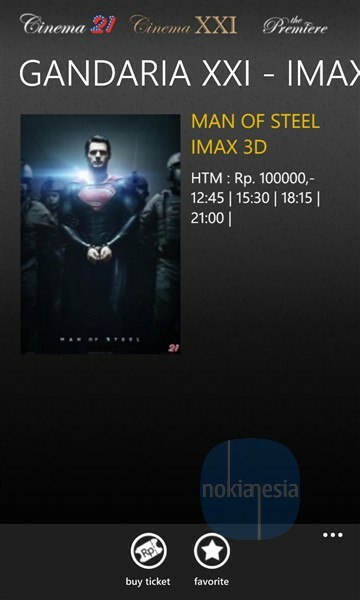 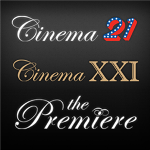 Good news for Movie freak in Indonesia, Cinema 21 - The largest Indonesian Cinema Network just released their official mobile application called "21 Cineplex". 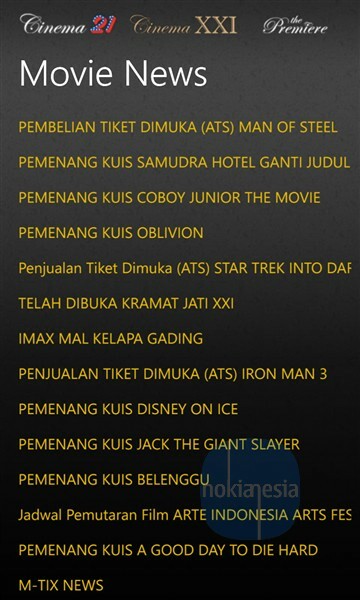 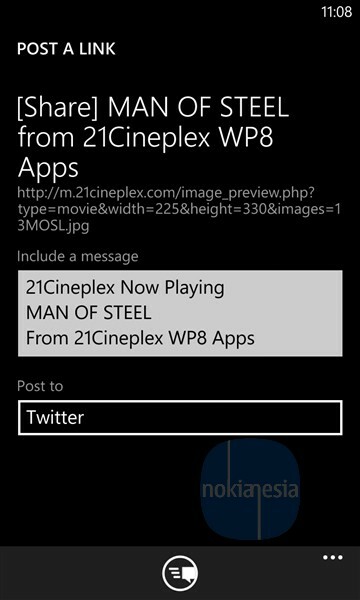 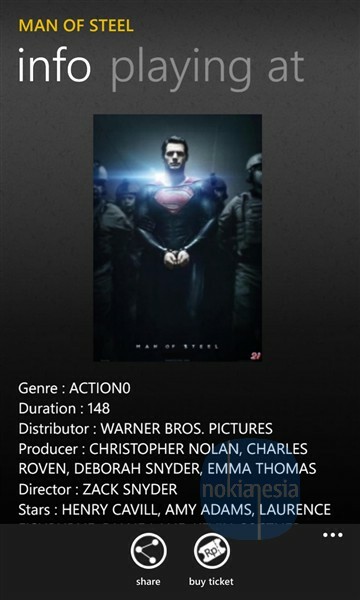 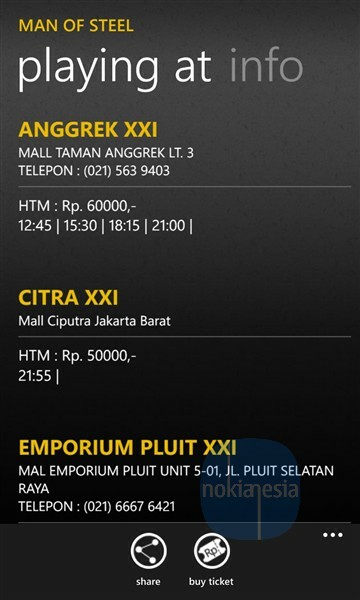 "21 Cineplex" mobile application provide you some information about movie schedule, ticket price, theater information, movie news and many more. 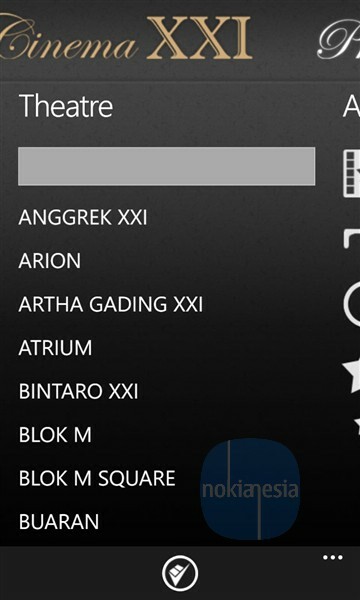 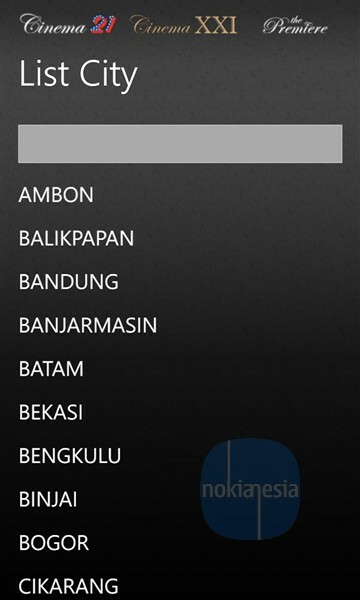 This application is only suitable for Nokia Lumia with Windows Phone 8.